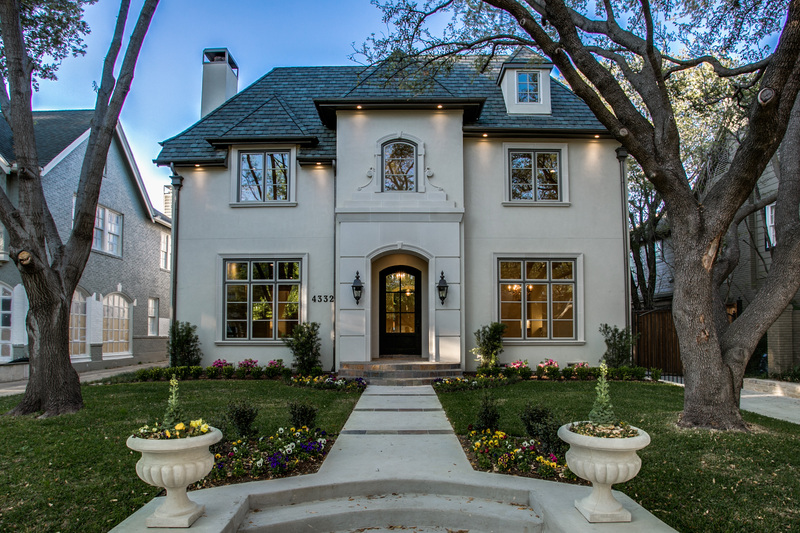 Recently completed in 2017 by Lyle Turner of Malt Homes, Inc. and situated in prestigious Highland Park within walking distance of Highland Park Village and Bradfield Elementary, this stunning clean lined transitional new construction showplace exudes modern elegance with its sophisticated chic interiors and state-of-the-art amenities. Offering approximately 5,628 square feet, the fabulous three-story manse showcases 11’-foot ceilings downstairs, handsome hardwood floors, beautiful custom woodwork, custom lighting and gorgeous marble and quartzite finishes throughout. Entertaining is effortless with its open floor plan, five bedrooms, 6.2 baths, elegant formal rooms, an expansive great room with fireplace, built-ins and French doors opening to the outdoors, chef’s quartzite island kitchen with premier stainless steel appliances, including Wolf, Bosch and SubZero, a breakfast bar, butler’s and walk-in pantries and a large breakfast area, an oversized game room or 6th bedroom, luxurious master suite with a pop-up ceiling and a gorgeous spa-like white Calacutta marble bath with His and Hers vanities, a soaking tub, separate double shower and a huge walk-in closet, fabulous covered terrace, featuring a stone fireplace, stainless steel built-in grill, and a granite-topped wet bar with beverage center and also overlooks scenic views of the lush landscaped grounds with room for a future pool, 477-square-foot guest quarters and a two-car detached garage. Completing this stunning residence, the guest quarters reveal an oversized vaulted living room or bedroom and a full marble bath with large walk-in closet.